COACHELLA FEST 2018 ARRESTEES! If you were arrested for misdemeanor drug possession at Coachella, you were given a citation with an August court date on the bottom of the citation. You or an attorney that you hire must appear in court that date. The ABC cops probably told you that you can wait for a letter in the mail telling you if you have to go to court or not. THEY WERE LYING TO YOU! No one will get a letter in the mail from the court or DA. If you wait for that and no one appears in court for you when your case is called, a warrant for your arrest will be issued. Call us now at (760) 345-4777 for more details. Use those rights, and then call us. We will be working the weekends of CoachellaFest and StageCoach. You can give us a call at (760) 345-4777 or text me at (760) 898-9348 anytime on one of those weekends or anytime before or after those weekends if you have questions, are getting hassled by the cops, need representation or just need to speak to someone about any related problem that you may have. Coachella Fest is just a few weeks away now! You’ve got your tickets. You know which friends you will be going with and where you will be staying for the weekend. If you have been reading the earlier blogs here, you know we are warning you about how to avoid being arrested. But, what do you do if you are arrested. If you are approached by the police, unless you are being “detained” or you are under “arrest”, you should ignore the police and walk away from them. If you are NOT being detained or arrested, you have the RIGHT to walk away. If you are detained or arrested, you can not walk away. But, you do NOT have to answer any questions or say any more than to identify yourself. Do NOT say any more than to give your name and show them your identification. No matter what the cop says to you, do NOT talk about anything other than your name. They can lie to you to get you to talk…and they will. They will say they are going to let you go if you talk and give up your dope. They will be lying! You can remain silent during the rest of the arrest process. They will take your photo and fingerprints, give you a misdemeanor citation (if it is simple possession of drugs) and then they will release you to go into the event. It will NOT go better for you if you talk or voluntarily give up your drugs to them. Most of the searches and seizures that have resulted in arrests at prior festivals have come from unlawful searches and seizures that became legal searches and seizures because our clients talked to the cops and either gave them consent or permission to search them or they just gave up their drugs to the cops when the cops asked for them. So, don’t become one of those people. YOU HAVE CONSTITUTIONAL RIGHTS TO BE FREE OF UNLAWFUL SEARCH AND SEIZURE! So, you want to go to Coachella Fest this year, look cool as you cruise the playground and stay out of trouble. How do you do that? The clothes you wear to the festival won’t identify you as someone who is using or possessing drugs (unless you go dressed as Superfly! Oh, too young to know who that is? Google it!). So, look the way you want to look. You do not need to go out and buy yourself festival stash underwear or belts (Google that too!) to hide your dope in. That won’t help. It is not where you have your drugs stashed on you…it is HOW and WHEN you remove those drugs from wherever you have them, to stash them someplace else, to use them or to hand them off to someone else that may be the problem. The cops generally are not just randomly going up to people (male or female) and searching them or asking if they have dope on them. They are watching for any furtive hand movements that may indicate someone is moving their drugs from one place on their person to another place on their person or giving them to another person. The cops know from experience that most people believe that once they have gotten past some security point that they were concerned about (entrance gate, security check, etc.) or they have gotten to a safe place, that they can now relax and let their guard down (personal possession lockers, behind a tree, in a circle of friends, etc.). Many people then believe that they are able to safely grab their stash and do something with it. So, break the cops of that belief and don’t grab your stash until you are truly in a safe location that is out of view of anyone else…like a bathroom stall / port-a-potty. Many of the arrests we have seen the past few years have taken place at the locations we mention: after one goes through a security check or a security gate and at the lockers. The cops are waiting inside the gates and by the lockers that you can rent for yourself watching to see who is going to grab their stash. You may think no one is watching. But, if you are visible to others, you are being watched. IF FOR SOME REASON A COP does come up to you and ask you what you just took out of your pants or what’s in your hand or what did you just hand to your friend, do not answer them! You have no legal duty to answer a cop’s questions. If in fact you are holding an illegal substance on your person, it is best to play the straight legal angle and stand on your 5th Amendment right to remain silent. Chances are, if you are reading this, you have never been in trouble before and have never been hassled by cops before. That’s okay. Now is the time to start being a real adult and exercising your Constitutional Rights. The cops may search you anyway. But, they will be doing it illegally and it will get thrown out of court if the cops are truthful about you standing on your 5th Amendment rights. Most arrests we see are a result of people answering the cops when they are questioned by them. If you are not under arrest or being lawfully detained because you are suspected of committing an actual crime, (and seeing you grab some unidentified item from your pants is not reasonable suspicion of a crime) you can just walk away from the cops if they start questioning you. If they stop you from walking away, you are under arrest. Again, if you actually are in possession of a controlled substance, you are going to be arrested anyway. So, make them work for it! And, yes, up to 1 oz. of marijuana is legal to possess in California. BUT, it is NOT legal to smoke or ingest it in anyway in public…a music festival is a public place! Next edition will tell you what to do and say (or not say) while in police custody. 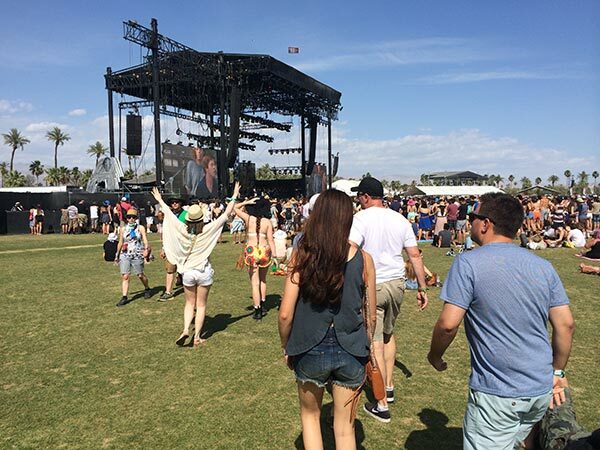 We have become very knowledgeable about how and why people get arrested at Coachella Fest, Stagecoach and all other music festivals that are now almost year round in the Coachella Valley, California. Over the past nine years, we have represented hundreds of people who have been arrested for various offenses such as felony sale and possession for sale of drugs, misdemeanor drug possession, assault, battery, possession of fake ID’s, minors in possession of alcohol, furnishing alcohol to a minor and the unlawful use of someone else’s handicap permit, which is in fact, a misdemeanor offense. If you read this, you may avoid detection and arrest for any public offense that law enforcement (LE) believes you may have committed at these music festivals. 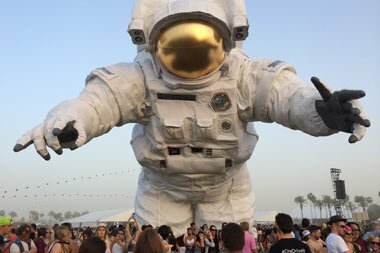 We have taken our years of research into why and how our numerous clients have been arrested at various Coachella music festivals and summarized it into various generalizations that may seem to be obvious to you when you read about them in the written word. But, they were not so obvious to the people who were actually arrested for assorted drug, alcohol and identification offenses. And, they won’t be obvious to you either when you are out partying, if you have not read our blog. 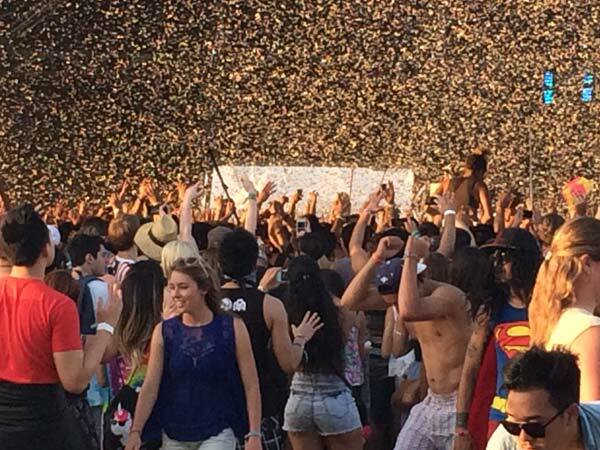 UNDERSTAND that the promoters of Coachella music festivals don’t care how many people get arrested at their events. So, if you are thinking that they are going to discourage a heavy law enforcement presence to keep their customers happy, you are wrong. The promoters not only encourage the LE presence, they pay an extra fee to the local city and county governments and to the State of California for the cops to be there. Think about it…overtime pay for the cop’s summer vacation is always a welcomed bonus for the government. The promoters want to make them happy. LOCATION is another commonly misunderstood factor that you need to consider. 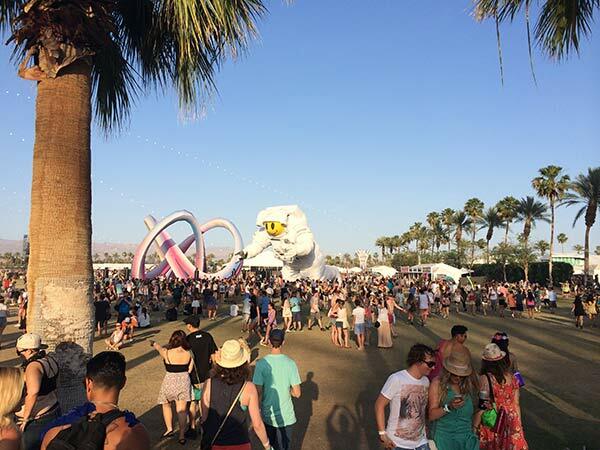 Yes, Coachella is out in the middle of nowhere, almost like Burning Man or Bonnaroo. But, unlike those festivals, Coachella is in Riverside County, California…one of the most law enforcement oriented counties in the state and country (yes, Riverside County has the highest rate of sending people to Death Row than any other county in the country). COPS WILL BE THERE at the event you go to. How many, and how will you know who they are? There will be hundreds and some will be in uniform, but most will be undercover trying to blend in to the crowd. This is a critical point that you should understand…you will not easily be able to identify who the undercover cops are. The promoter of the music festivals contracts with the California Alcohol Beverage Control Department (ABC) to provide their undercover cops at the festivals. So, these are not people that are usually out on the streets in patrol cars. These are people who walk around the festivals in bikini tops (females), torn jeans and generally looking just as fun-loving as the next festival goer. They may appear to be alone at times, but there are always other ones watching the one who may approach you. Do NOT trust anyone by the way they look. Do they have to tell you they are a cop if you ask them if they are? NO, they do not. The law says that cops can lie to you to get you to incriminate yourself. Can they ingest drugs to get you to believe they are cool? Sure they can. So, we advise that you NOT give away or sell any drugs or alcohol to anyone that you meet for the first time at a music festival. Watch for our next blog that will tell you how to act when you get to the festival to best avoid an arrest, and what to do and say if you are arrested. The top 7 California Marijuana laws that you need to know. There is a lot of misformation about the California Marijuana Law that will be in affect soon. We conducted a survey to find out what laws people care about most. Below were at the top of the list.